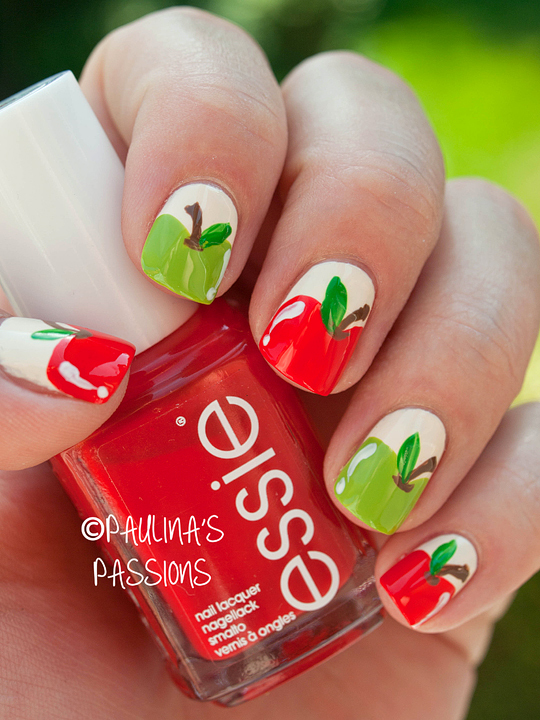 Strawberries, watermelon, kiwi, cherries… But I am not talking about their sweet taste, but for a specific fruit manicure that will make your nails look fun. 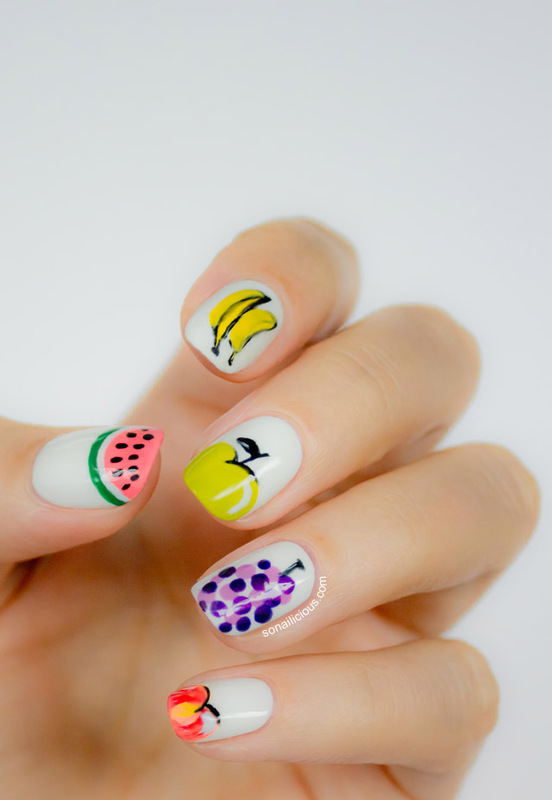 Insert diversity in the summer by using colors and seasonal fruits and make yourself a manicure of your favorite fruits. 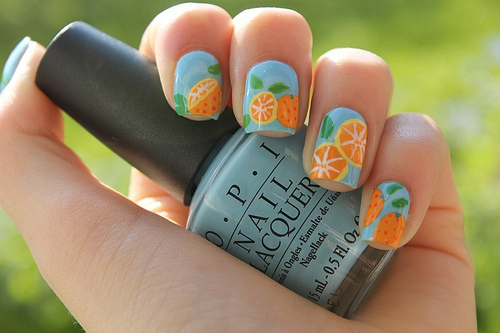 Enter creativity and do your own fruit nails. 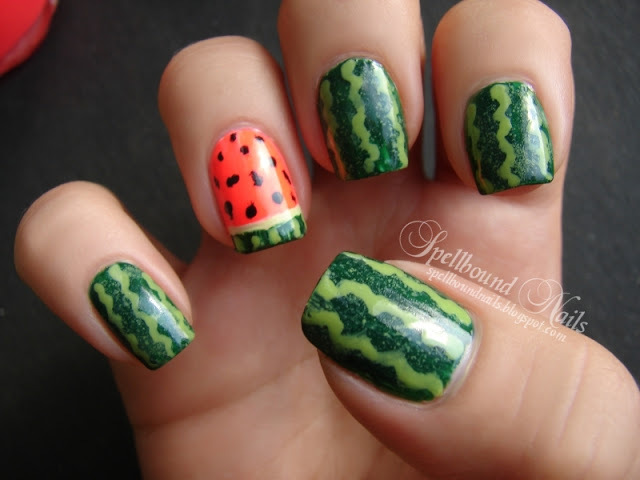 You can do watermelon nails very easy. 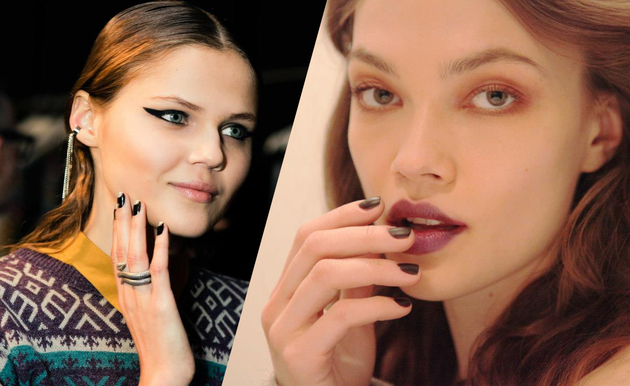 Apply red nail polish as a base. 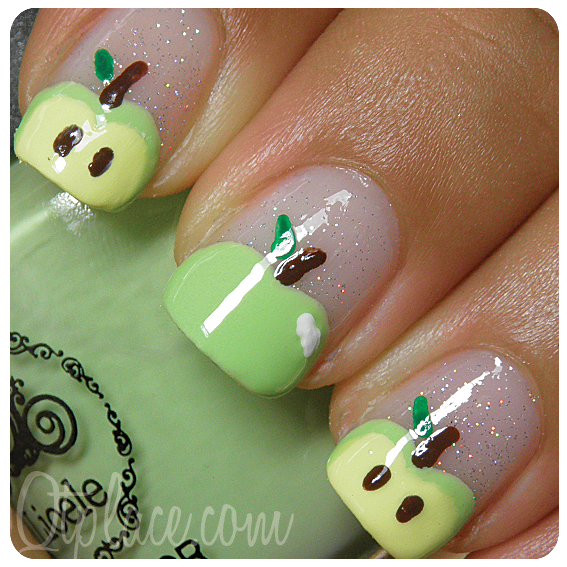 At the end of your nails apply green. 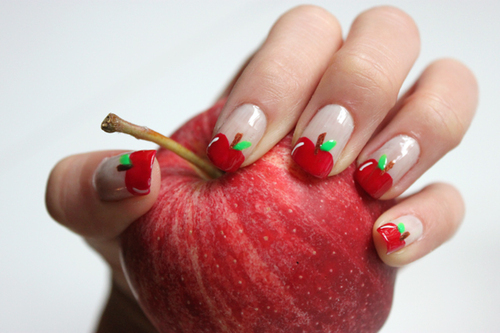 Over this, apply a darker green lines that will look just like the watermelon rind, in the style of a French manicure, and then on the red base apply black dots representing the seeds of the fruit. 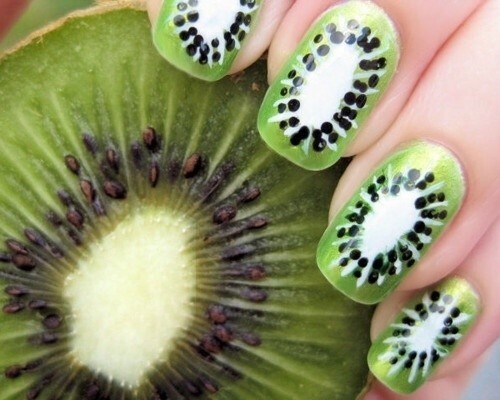 The design of kiwi you can make very easy but it takes patience. Apply green as base and then in the middle apply white. It is recommended to use brushes for better accuracy. You can use wooden toothpicks with tapering spire which will help you for better precision and with them drag thin lines and between them set black dots. 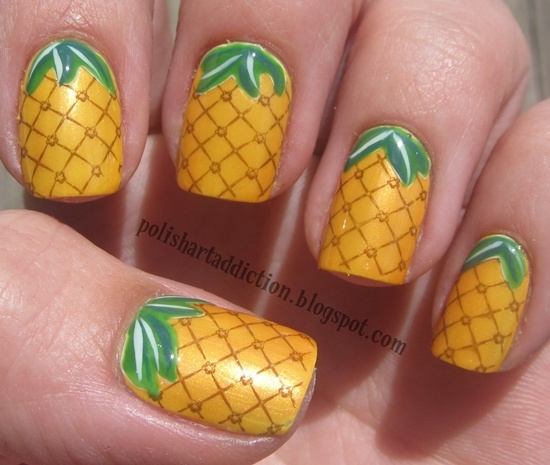 You will get interesting kiwi nails. 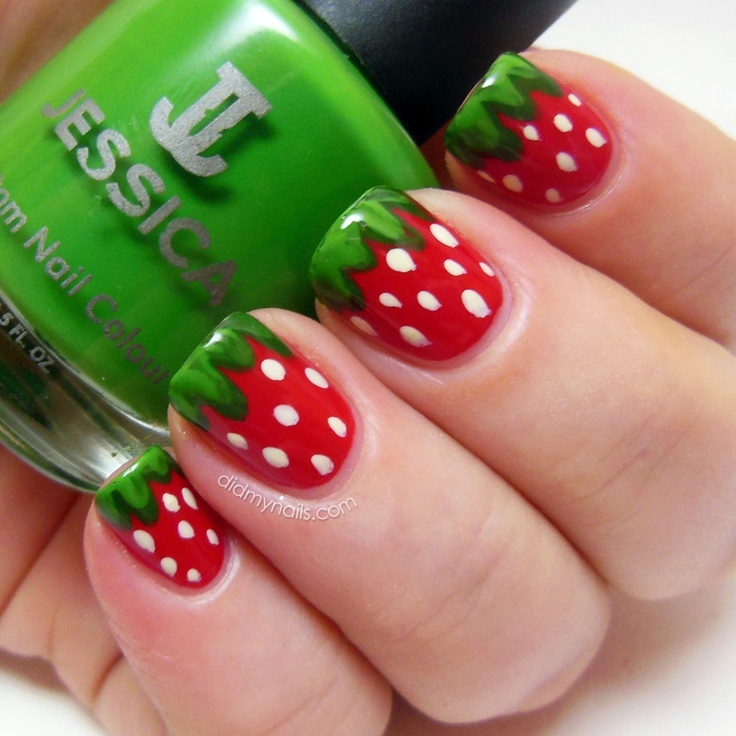 Strawberries are one of the most interesting and impressive designs that give the impression of a fun girl. 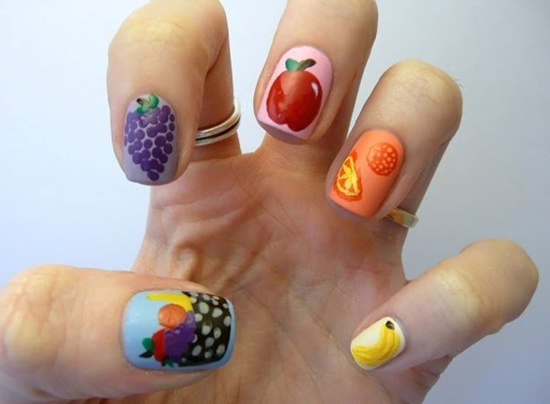 This type of fruit manicure you can do very easy. 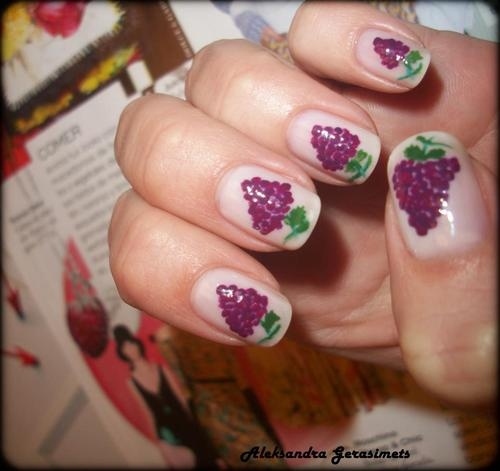 Apply nail polish in red or pink color as a base, and after drying at the beginning of your nails add green nail polish that will look like the top of the strawberries. 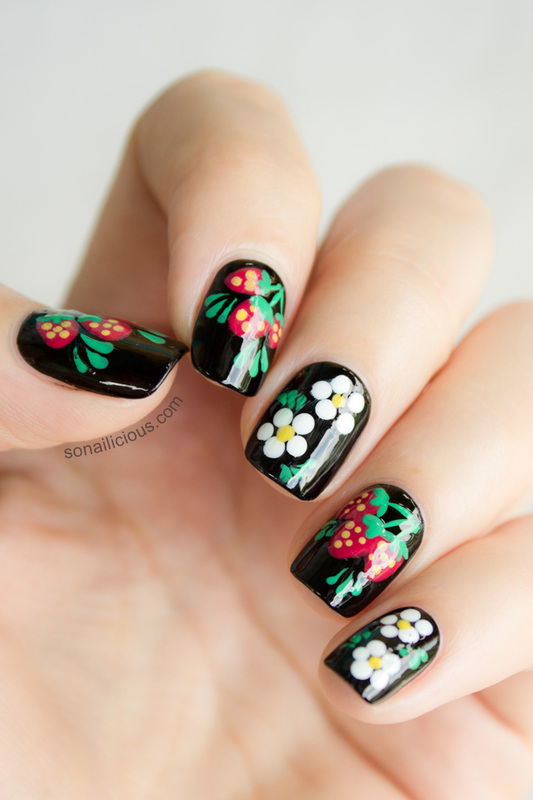 Finally you will add black dots like the seeds of strawberries. 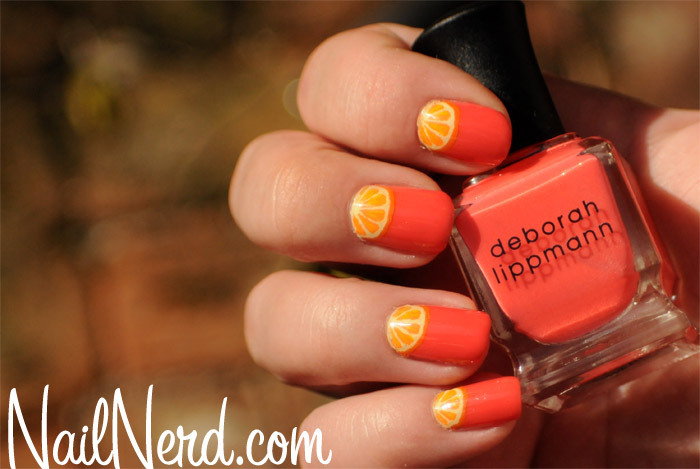 Choose your favorite flavor and refresh you!